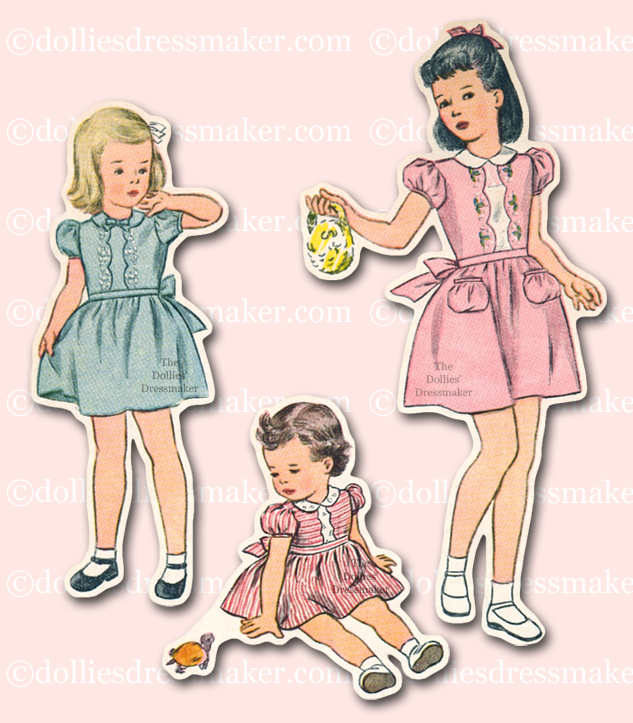 A pattern by The Dollies’ Dressmaker designed for the Simplicity Pattern Company. 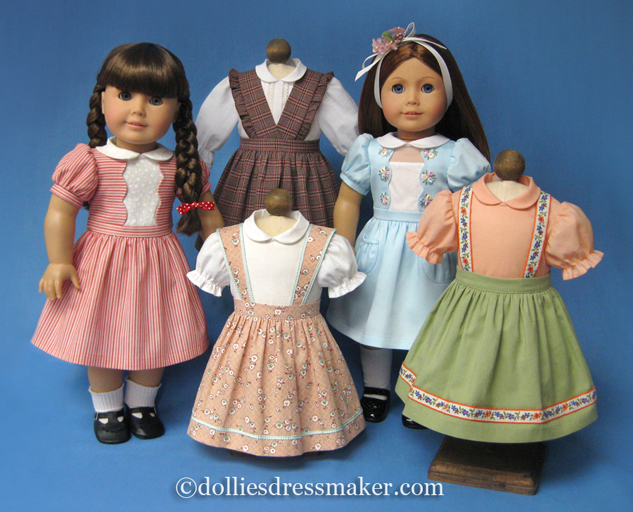 Styles inspired by vintage 1940s Simplicity pattern designs. This pattern is NO LONGER AVAILABLE THROUGH SIMPLICITY. 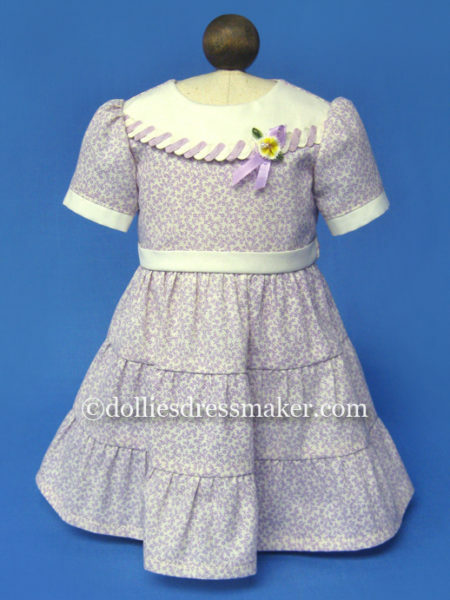 The scalloped front dress is in two versions. 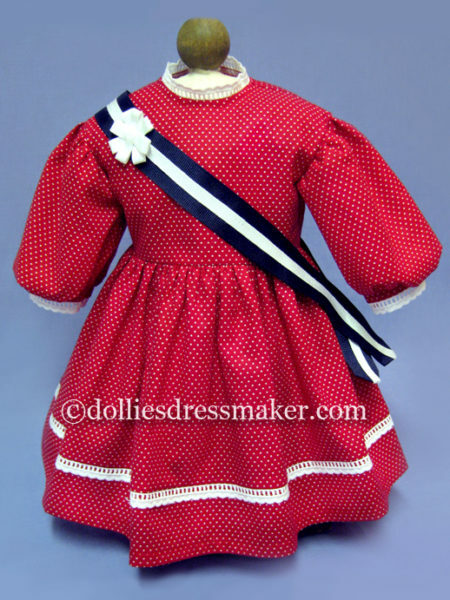 A red stripe was used for one style based on the pattern illustration of the small child. 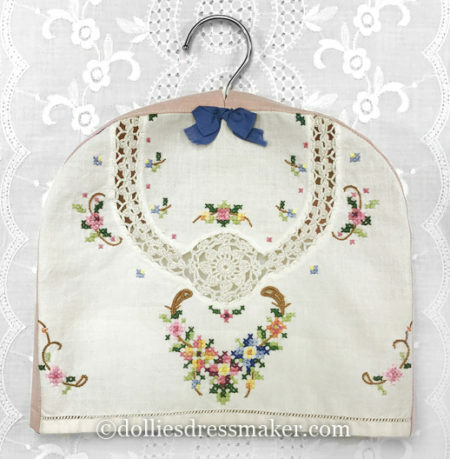 The fancier blue cotton sateen version has a front sheer inset with embroidered appliques. 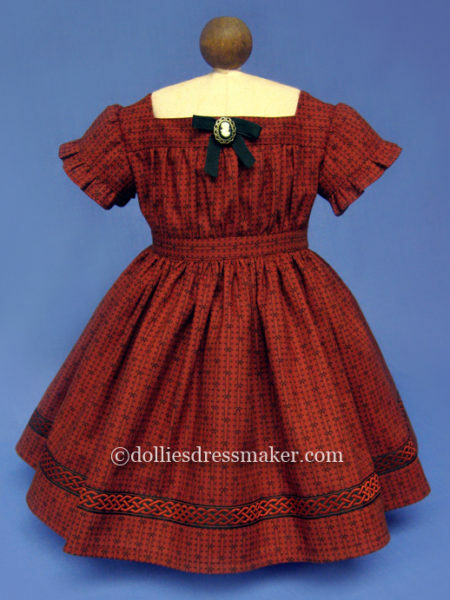 The vintage pattern also shows a view of the entire dress in one color. The pattern came with a motif to embroider the scallops. I have adapted the motif and offer it here if you would like to embroider the scallops. Click on image of the motif to download pdf to print. 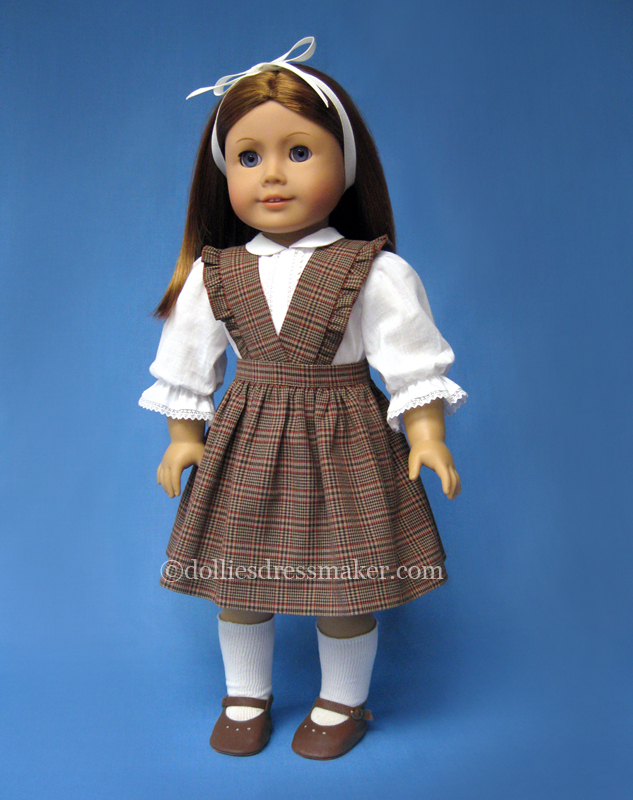 The skirt with suspender style is also in two versions. 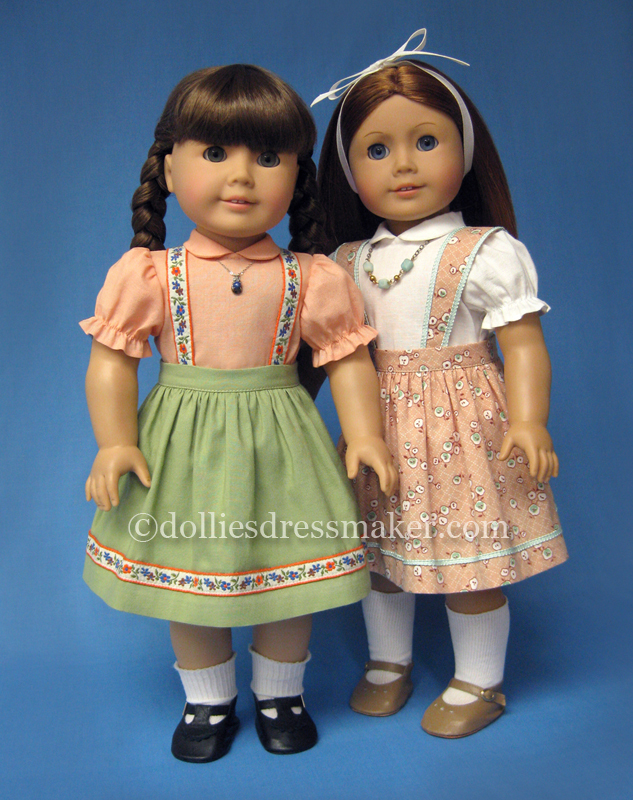 The one with the braid suspenders was based on the pattern illustration. 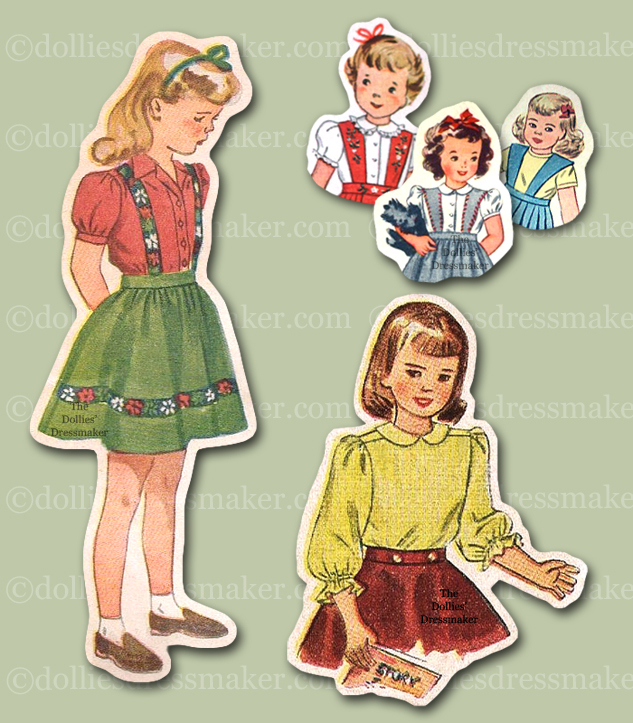 The second version was based on several illustrations that had shaped suspenders. The sample is made from vintage fabric. The blouse was based on the pattern illustration with 3/4 length sleeves. 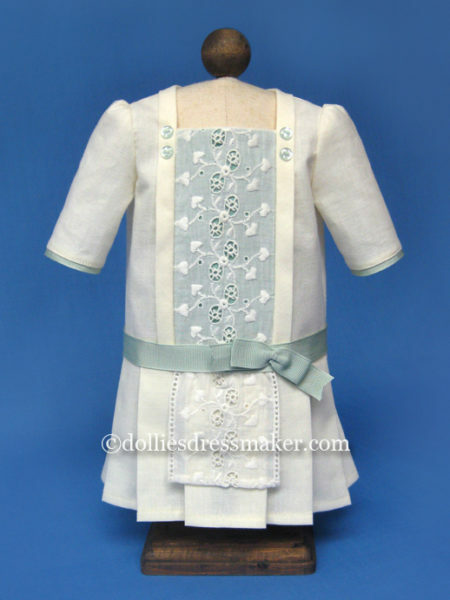 This blouse includes a short puff sleeve and pattern for making a tucked front. 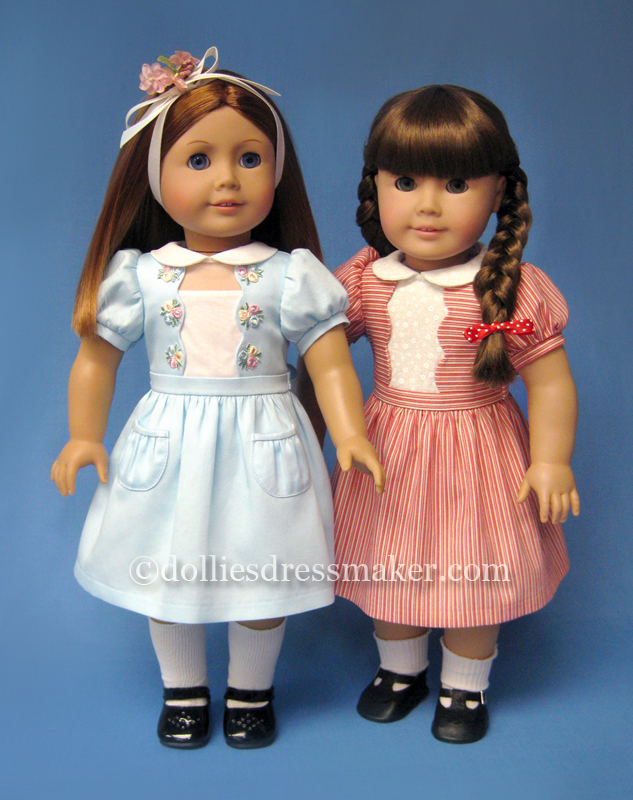 The jumper was modeled after a pattern with two versions. 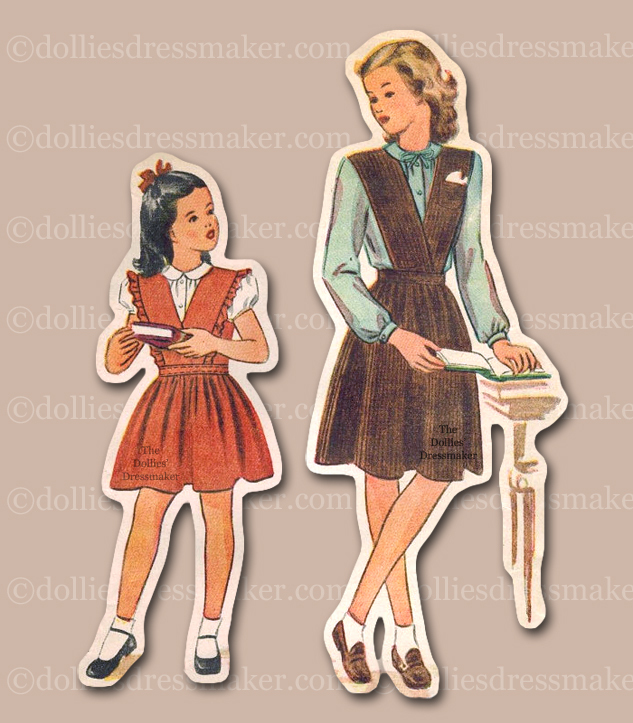 The front bodice strips were to narrow to put a pocket on as shown on the illustration. I have included some images below to show some possibilities for decorating the band.